Its not difficult to find support for what appears to be an ultimate truth; customer-centricity is THE central element of business success. Since virtually every business leader espouses this truth, it must be great to be a customer! After having the chance to work with the leaders of many dozens of companies, I’ve noticed a distinguishing feature of organizations that engage with customers in a way that fuels continued innovation and economic success. It starts with how leaders and people throughout with organization think about and talk about their customers. A person who purchases goods or services from another; buyer; patron. Informal. A person one has to deal with: a tough customer; a cool customer. The foundation of this definition is “person.” A customer is a person or, in the case of business-to-business, often a network of people. A distinguishing characteristic of organizations that sustain success with customers is their ability to engage with customers as people. This seems like it should be easy. However, even casual conversations with leaders in many businesses reveal that the organization is focused on customers not as people but as objects. To make objective, external, or concrete. Objectifying people generally involves intentionally or unintentionally treating them as a means to an end, without any deep, visceral understanding of their lives, feelings, priorities or preferences. As a result, organizational behavior tends to be at best – reactive, and at worst, self-serving and manipulative. There are several indicators of businesses that objectify customers. People in leadership positions don’t spend much time in open dialogue with customers about what they need and what’s working and not working about their experience. Insights about customers tend to be surface-level descriptions. Conversations about customers tend to be abstract and removed rather than concrete and personal. People on the front line may be following the process but, at best, “pretending to care.” The company might measure customer satisfaction with the company’s touch points but doesn’t really know what customers do end-to-end, how they make choices, and how the overall experience makes them feel. These characteristics stand in stark contrast to businesses that appear immersed in their customers’ lives and, as a result, deliver a very personal, human experience. As consumers, we recognize these businesses. They range from the small and local (e.g., your favorite restaurant or local retail establishment) to the larger scale businesses of which my favorites include Chick-fil-A, Zappos, Nordstrom, Umpqua Bank, and Apple. Empathic Discovery. Most of what companies know about their customers tends to be descriptive and data driven: who they are, where they live, what they’ve purchased, how long they’ve been a customer, etc… There may be a segmentation analysis that groups customers by attitudes, etc… However, in most cases, there is no rigorous framework for personifying customers in a way that builds empathic understanding. This includes structured ways to answer: who are these people, what are the situations they’re in, what’s important to them and what are they trying to accomplish, how do they evaluate alternatives and make choices, what do they do outside of the limited set of contacts with our business, and what emotional states influence behavior? Empathic Design. Empathic design leverages empathic discovery in order to create products that allow customers to more easily accomplish the goals that are important to them. This includes designing products and services that customers love because they’re meaningful and make them feel good. This often includes the design of products, services, or modes of interaction that customers don’t even know they desire or, in some cases, solutions that customers have difficulty envisioning due to lack of familiarity with the possibilities offered by new technologies or because locked in a old mindset. Empathic Delivery. Customer service is a monologue; it’s about technical delivery, standards, and execution. The company decides what to do and how to do it. Well-designed and executed customer service usually does a good job of meeting customers’ baseline needs and expectations. On the other hand, empathic delivery is a dialogue. It’s about watching a customer’s experience with every sense and following up with a thoughtful and appropriate response that demonstrates that you really care and are on their side. It enables the organization to surround products and programmatic services with personal touch. Unfortunately (and fortunately for competitors), empathic delivery is rare in the business world. Processes, policies, metrics, resource constraints, as well as more deeply entrenched unwritten rules often get in the way. Since empathic delivery cannot be fully scripted, it leads to significant implications for the employee experience. Employees must have enough “elbow room” to do the right thing for customers. This requires a deliberately designed pattern of interventions in the employee experience including recruiting, incorporating, training, communicating, measurements, and rewards. It also involves surfacing the unwritten rules that may be driving employee behavior inconsistent with the desired customer experience. Customer Innovations works with leading brands to “embed empathy” into the design and delivery of experiences that are both positive for customers and profitable as well as strategically relevant for the business. As many businesses are beginning to look towards economic recovery, we’ve seen a growing recognition of the importance of the employee experience. I suspect this may be a recognition of the vast amount of stress in the workforce. For many companies, significant portions of the employee base are facing deep economic hardships. Employees have been working harder than ever in an effort to keep their jobs and pick up the slack as their companies have cut positions and reduced spending. As the economy and the job market improves, these employers may be facing latent turnover of some of their best people. At the same time, companies interested in making more strategic investments to accelerate growth will need to have a highly engaged and aligned workforce. Over the past several years, we’ve been working with a diverse set of of clients on a rigorous integration of customer and employee experience design. The experience customers have with any organization is the product of behavior that emerges from a complex organizational system. Every organization is strongly predisposed to deliver the current customer experience based on deeply entrenched legacy effects, beliefs, values and unwritten rules. These legacy effects are reinforced by employee experiences at every level of the organization. Most customer experience efforts significantly underestimate the difficulty of shifting legacy effects. In some cases, organizations create a vision for the desired customer experience that is fundamentally at odds with the character and culture of the organization. As a result, their initiatives fail to produce a noticeable shift in the customers’ actual experience. Any effort to fundamentally improve the customer experience must first decode how and why the organizational system produces the current experience. This understanding allows executives to identify what changes are feasible and what specific interventions are necessary. Without this understanding, efforts to change the behavior of the organizational system are likely to be naïve. Delivering a substantially different customer experience requires a holistic, end-to-end perspective on the employee experience. Within that holistic perspective, targeted employee experience interventions must address and rewrite any “unwritten rules” that produce behavior inconsistent with the intended customer experience. By creating a strong linkage between the customer experience required to drive profitable growth and the employee experience required to generate this customer experience, a company can justify and prioritize investments in the employee experience. Describe the experience you intend to deliver to customers. Describe what customers are trying to accomplish and map the end-to-end activities customers follow to accomplish those things. Then detail the experience you want them to have. What do you want customers to feel after their interactions with you? What are the company’s ultimate goals for delivering a powerful customer experience beyond the transaction itself – for example, additional sales, word-of-mouth marketing? Identify the organizational and individual behaviors required to generate that customer experience. What do people and the organization need to do consistently to create the intended customer experience? What specific changes in behavior are needed? What must front-line employees do differently, and what decisions should front-line employees be empowered to make to solve customers’ problems? How do the work and behaviors of behind-the-scenes employees, plus their interactions with the front line, affect customer experience? Identify the business processes, practices and unwritten rules that have to change to produce the required behaviors. Diagnose how and why your company generates the current customer experience. This must be based on rigorous examination of the experience from your customers’ perspective. Identify where bottlenecks in service occur, where the smooth flow of customer interaction is interrupted. Measure alignment of customer-facing processes, roles, measurements and rewards, and surface the unwritten rules that drive individual and group behavior related to the customer experience. What exactly do the unwritten rules encourage people to do, and how do the resulting behaviors facilitate or interfere with the intended customer experience? Design specific employee experience interventions that remove the barriers and rewrite the unwritten rules. Map the end-to-end employee lifecycle and identify what your employees experience along the way. Model and segment employee populations, measure their fit with “ideal employee profiles” for different roles and correlate with customer experience and business performance. The appropriate interventions may be in how you attract, incorporate, engage, retain or enrich employees’ work. Because useful interventions can be made anywhere in the employee lifecycle, you must be rigorous in determining where to intervene and where to invest in employee programs. The goal is not just to design a compelling customer experience, but to enable employees to understand their connections with the customer experience and feel empowered to deliver the designed experience. Are you losing too many customers or sales opportunities? Are you experiencing too much negative word of mouth? Are customers’ expectations changing faster than your company’s ability to stay ahead of the competition? Do you have trouble aligning the efforts of intermediaries in order to deliver for the customer? Are customers behaving in a way that constrains or undermines your efficiency and profitability? Are all your efforts just leading to “better sameness”? Over the past couple of years, I’ve covered an extensive array of topics focused on how companies can address these issues. In this post, I’d like to take the liberty of describing the type of work we do and the unique tools we use in the process. My colleagues and I at Customer Innovations have a 25 year track record helping leading organizations create experiences that improve the acquisition, retention, and profitability of customers. In the course of our work, we’ve demonstrated bottom line results of 10-25% in the form of increased retention, incremental sales, reduced acquisition costs, positive word of mouth, higher price realization, and improved productivity of customer-facing operations. Most of our work has been with organizations that create experiences across complex networks of “customers” including consumers, agents, brokers, retailers, and other influencers. Rapid Revenue Retention. We quickly identify specific elements of the current experience that are leading to attrition, lost sales, negative word of mouth, and unproductive customer behavior. Intensive 10-12 week efforts often lead to $10 – $100 million in benefits. Accelerating Sales From the “Outside In”. Rather than starting with the internal structure, processes, tools, and training, we start with a deep understanding of how and why your customers buy and then focus improvements on shifting buying behavior. Creative Customer Insight. Without breakthrough customer insight, design efforts can only produce “better sameness.” We have a unique approach to surfacing customers’ latent motives, beliefs, needs, and priorities in a way that informs the creation of highly evocative and profitable products, services, and experiences. Signature Experience Design. We design, deliver, and engage customers in experiences that capture their attention and influence the actions they take. These evocative experiences are structured to tell a meaningful and influence customer behavior using a set of differentiated “signature experience” elements. Aligning Effective Employee and Intermediary Experiences. We help create the specific employee and intermediary experiences required to ensure that those who work directly or indirectly with your customers reinforce the intended evocative experience. Traditional touch-point oriented approaches rarely deliver more than “better sameness” because they focus on how the organization delivers an experience rather than on deeply understanding how people actually have experiences and how those experiences influence behavior. Customer Innovations has a unique approach and toolset for designing evocative experiences that positively and profitably influence behavior. Experience MinerTM – Traditional “voice of the customer” approaches are insufficient for understanding the largely subconscious processes that influence customers’ desires, preferences, emotional states, choices, and behavior. Based on 25 years of cognitive and behavioral research, the Experience MinerTM toolset helps surface, analyze, and measure the ways customers think about, feel about, and act on their experiences. Experience DesignerTM – The output from Experience MinerTM feeds our structured Experience DesignerTM toolset that guides every step of the experience ideation, concept development, specification, and blueprinting processes. Experience DesignerTM also incorporates an integrated experience-chain framework that helps specify and design the specific employee and intermediary experience interventions required to generate the intended customer experience. Experience EconomicsTM – It’s exceptionally easy to deliver an uneconomic experience. Most organizations simultaneously over-invest in elements of the experience that don’t matter to customers and under-invest in elements that have significant influence on customer behavior. The Experience EconomicsTM toolset helps companies find the optimal investment point based on the influence that individual and collective experience design elements and service levels have on the financial performance of the business. Last month, I had the opportunity to do a keynote speech at a Maritz Customer Experience Conference. One of the highlights of this event was a behind the scenes tour of the beautiful Four Seasons Aviara Resort. I took copious notes and wanted to share a few of the salient elements that contribute to the world-class hospitality experience delivered by this resort. Across the clients we’ve worked with, there has been an increasing recognition that No Matter What Business You’re In… You’re in the Hospitality Business; it doesn’t matter if its a hotel, restaurant, bank, auto dealer, healthcare provider, or an insurance company. The central thread that ran through the entire tour was the high level of excitement and engagement of the associates in each area of the operation. Each person we spoke with emphasized the Four Seasons management model: Teach Lead Coach Counsel Consistently (TLCCC Model). Housekeeping. The Four Seasons has highly detailed housekeeping standards that dictate the exact condition and location of every item in the room. For example, the two desk chairs are always pulled out from the desk at a 45 degree angle to make it easier for a guest to sit down. There are always four magazines carefully arranged on a magazine rack, placed in the same sequence, staggered with a one inch margin between magazines. The body wash, shampoo, and conditioner are always placed in the exact same location in the shower. Each new housekeeping attendant is given 2 weeks of training. In addition to learning the housekeeping standards, attendants are expected to be able to answer questions and handle a wide range of guest requests. Housekeeping attendants are assigned 12 rooms per person with the assumption that caring for each room will take 45 minutes per day. Attendants are expected to know each of their guests’ names. With the exception of the evening turndown service, there are no carts in the hallway to obstruct guests’ passage. In order to make this possible, the Four Seasons specially designed roller bags for carrying supplies and a vacuum. Attendants hand carry linens back and forth to the linen closets. Guests traveling with small children are provided with toys, as well as, milk and cookies at bedtime. The housekeeping staff places letter sponges with the letters of each child’s name in the bathtub before the guest checks in. In addition, housekeeping provides child-sized bathrobes, cribs, step stools in the bathrooms, and child proofing. The Four Seasons allows guests to stay with small pets. If a guest is traveling with a pet, the hotel provides dog beds and dishes. The carpets are cleaned after any guest has stayed with a pet. The Perfect Room Program. Although housekeeping evaluates the condition of each room on a daily basis, every room is taken out of service and refreshed every six months. This process takes 1-2 days per room and is based on an 82 point checklist involving every aspect of the rooms décor, furniture, and equipment. If there is ever a “Guest Activated Problem” (a.k.a., GAP), the standard for responding is no more than 15 minutes. Concierge. The concierge desk is a focal point for guest requests from simple restaurant reservations to more complex guest requests. For example, one guest indicated they were bored and wanted something exciting to do for the day; the concierge arranged a helicopter day trip to the Napa Valley. Each person on the Four Seasons concierge staff is either a member of or working towards membership in Les Clefs d’Or (pronounced lay clay door; meaning “keys of gold” in French), the international association of professional concierges. Facilities. Everything about the lobby and the grounds are designed to signal “relaxation.” This includes the muted color scheme, lobby layout, and beautiful fresh floral arrangements. Employees with a passion for landscaping pay acute attention to detail in caring for the grounds. Daily cleaning, trimming, and painting are done during times of the night and day with minimal customer traffic. In addition, they make very limited use of power equipment in order to reduce noise. The facilities and golf course staff at this property has surprisingly low turnover; they’ve only hired 5 new people over the past 4 years. Overall, it was an impressive tour; enlightening to see the kind of effort that goes on behind the scenes in order to deliver a superior hospitality experience. The challenge for leaders across industries is to figure out how to deliver compelling and authentic hospitality in your business. Ultimately, it’s knowing how you want the customer to feel about themselves… not how you want the customer to feel about your business that will guide your way. I’ve heard many executives and consultants talk about the importance of training and motivating front-line employees in order to improve the customer experience. While I agree that having highly engaged, well-trained, and motivated front-line employees is important, it is very far from sufficient. In this post, I will make the case that focusing on front-line employees is generally NOT the most important place to start if your goal is to significantly improve the customers’ experience. In order to make this case, I’m going to refer on one of the most important lessons from military strategy. In the early 19th century, Prussian military strategist, Carl von Clausewitz introduced the concept of the Center of Gravity (CoG) of any strategic system (e.g., political, military, or organizational system). The Center of Gravity describes a system’s most critical sources of strength; the elements that are most influential for stable and successful operation of the system. The optimal military strategy is typically the one that achieves well-defined objectives by attacking the enemy’s “system” at it’s points of maximum influence or vulnerability. From this perspective, attacking the enemy’s field forces has relatively minor influence versus attacking leadership, essential resources, or communications infrastructure. Instead, Col. Warden’s has argued for using airpower to simultaneously strike at each system component thus overwhelming the opponent and irreversibly shifting the state of their system. This was a key to the success of the Desert Storm air campaign. Leadership including the aspirations, capabilities, and beliefs of the executives, as well as, the something called the operating state of the organization. Operating state establishes the context for how the organization works together and includes four dimensions: Power, Identity, Contention, and Learning. Note: Operating state is described in more detail in the post: How Employee Experiences Drive Organizational Behavior? Power. 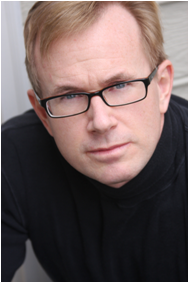 Do people have the sense of possibility and the power to accomplish what is important to the organization… and to them? Identity. Do people identify with the mission and the commitment of the organization as a whole or do they identify more narrowly with their function or department? Contention. Can people deal constructively with disagreement? Can they face up to breakdowns, build alignment, and move forward? Unwritten rules that drive the real behavior of the organization independent of the espoused ideals and formalized processes and systems. Management systems that define how the organization measures, manages, and rewards performance, as well as, how priorities are determined and resources allocated. These most central elements create an environment within which processes and technology, along with front line employees and supervisors come together to deliver service to customers. Most systems are surprisingly resistant to change. Unless these three components that are close to the Center of Gravity are addressed in a coordinated and holistic way, I would expect that efforts to train, motivate, and engage front-line employees will lead to marginal results. As Col. 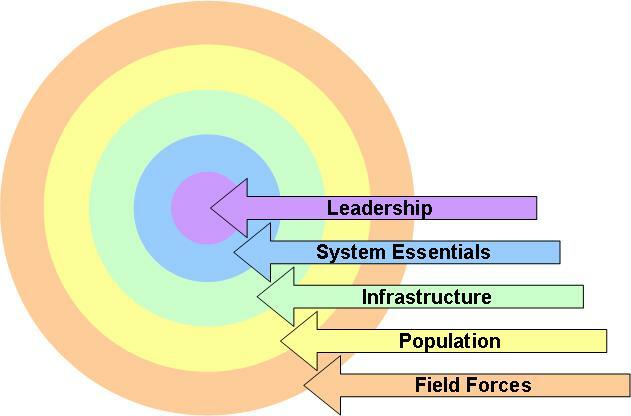 Warden has emphasized, shifting the state of an organizational system requires a coordinated, simultaneous intervention on each of the concentric components. What is an employee experience? I believe the most productive way to define “employee experience” is as something that resides with the employee rather than being a characteristic of the organization. Its how the employee “experiences” things rather than what the organization does that is most important. The employee experience is how employees react rationally and emotionally… to the how their organizational and external environments… enable them to achieve goals and satisfy needs that are important to them. An employee’s experience is influenced not only by what happens within the organizational environment but also by external factors like the economy, the job market, world events, etc… Although these factors are outside of the control of leaders within the organization, they cannot be ignored because they have a significant effect on employee’s moods, priorities, and behavior. In the end, all of this becomes strategically relevant when employees’ rational and emotional reactions produce behavior that either enables or gets in the way of the organization working together to deliver a customer experience that allows them to win in the marketplace. Organizational behavior generated by employee experiences can be described at two levels: Operating State and Unwritten Rules. Operating State is a way of diagnosing and describing how people work together. It has a profound impact on the agility that any workgroup or organization has in the face of changing business needs. Based on work done with CSC Index and DiBianca Berkman, Operating State describes how people relate around four things: Power, Identity, Contention, and Learning. As you read these, I’m sure they’ll resonate with experiences you’ve had in organizations that you’ve been part of. Power. Do people have the power to accomplish what is important to the organization and to themselves? The state of power within any organization can range from Possibility to Resignation. Possibility. At one end of the spectrum, some organizations seem to be unstoppable. Employees have experience which encourage them to be ambitious, resourceful, to take risks, and to accept accountability. Resignation. On the other hand, many organization seem be in stuck. Employees experience the organization as an immovable object. As a result, they are can be highly frustrated, easily stopped, and, as a result, avoid risks and accountability. Contention. How do people deal with disagreement or misalignment? In some ways, this is the most critical element of how people work together in a changing business world. Contention within an organization can range from Safety and Resolution to Fear and Suppression. Safety and Resolution. Ideally the experience that employees have within the organization encourages them to surface and address differences of opinion ; to safely challenge the status quo or prevailing thinking. The experience reinforces “straight talk” rather than submerged disagreement. Fear and Suppression. Alternatively, many organizations have a hard time with conflict. People avoid saying “what’s so” for fear of being seen as “not on board” or “not a team player.” Many times there are subtle “kill the messenger” reactions that lead to distrust and issues that become undiscussable. Identity. Do people identify with the mission and the commitment of the organization as a whole or do they identify more narrowly with their function or department? The state of identity within an organization can range between connectedness to separateness. Connectedness. When an organization is operating from the state of connectedness, holistic thinking prevails. People work hard to optimize the performance of the organization as a whole rather than just the performance of their function. As a result, it’s possible for the organization to take coordinated action and be responsible for cross-functional and cross-divisional objectives. Separateness. When an organization is operating from a position of separateness, narrow thinking prevails. Employees primarily consider the requirements for success within their function or role. This naturally leads to sub-optimal overall performance. People take independent action that is in many cases misaligned and, as a result, there can be a lot of finger-pointing. Learning. Learning is the way an organization maintains its differentiation. In order to move forward, organizations must be open to learning about the changing needs of their customers, their real strengths and weaknesses versus competitors, and the ways the organization must change in order to continually improve the experience for customers. Commoditization is a by-product of the lack of learning. Learning within organizations can range from Inquisitiveness and Receptivity to Arrogance and Defensiveness. Inquisitiveness and Receptiveness. Ideally the employee experience reinforces an environment in which people are open to new ideas, look for new possibilities, challenge existing mental models, try new things and learn from their failures. Arrogance and Defensiveness. However, in many organizations, people have a hard time safely challenging the existing thinking. Many times employees trust and follow the “authoritative view” of their superiors. In addition, some organizations reinforce critical thinking that leads employees to “look for the fatal flaw” in the ideas of their colleagues. People are distrustful of ideas that come from outside their group or organization. In many situations its hard for the organization to learn from failures because they have a hard time admitting failure. As you can probably, tell each of these interconnected components of an organization’s Operating State can have a profound impact on the organizations’ ability to navigate change and improve the quality of the experience customers have. These Operating State components are strongly reinforced by the experience employees have within the organization. Based on our work with clients to shift these conditions, it’s first necessary to understand how the employee experience reinforces these components before you can develop meaningful and well-directed interventions. Regardless of the formalized policies, processes, and procedures, the actually behavior of people within an organization tends to be driven by a set of unwritten rules that, to employees, seem like the sensible ways to behave. There are many Unwritten Rules that result from and reinforce the Operating State components described above. 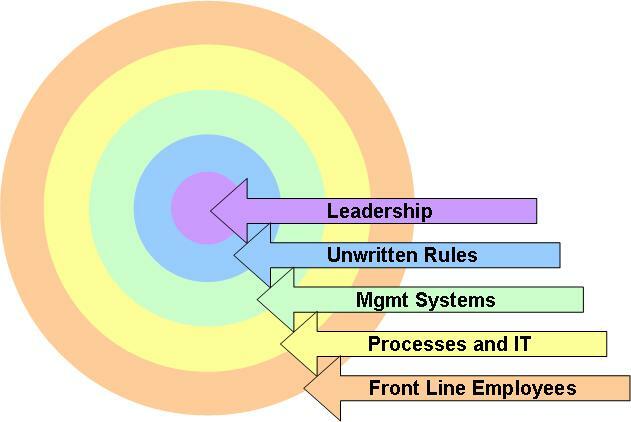 For example, common unwritten rules might include: “Don’t admit you’ve made a mistake,” “Regardless of the overall mission of the organization, you need to satisfy your boss,” “Don’t disagree with your superiors in public,” “If you question a major program, you won’t be seen as a team player,” etc…The unwritten rules within any organization are unique and have a lot to do with long legacy effects; how the organization has dealt with change in the past and what strategies have worked. These Unwritten Rules are reinforced by the existing set of employee experiences and have a significant impact on the organizations’ ability to deliver a highly engaging and differentiated customer experience. As I covered in the post, Why Customer Experience Initiatives Fail?, Unwritten Rules are one of the primary reasons why customer experience efforts often don’t produce the desired results. Every company has Unwritten Rules that are just inconsistent with delivering the kind of customer experience they would intend to deliver. This ranges from Unwritten Rules like, “The stars are out getting new customers, not serving the existing customers,” “We need to compete against other divisions for the customers’ attention,” “We talk about customers but ultimately you get rewarded for making your numbers,” etc… The list is potentially endless. Ultimately, the experience customers have with your business is the product of organizational behavior… that organizational behavior is a product of the Unwritten Rules and Operating State of the organization…. the Unwritten Rules and Operating State are reinforced by the experience that employees are having. Designing specific employee experience interventions that address those barriers. In practice, employee experience interventions can include changing: target hiring profiles, recruiting practices, new employee incorporation, mentoring, performance management, measurements and rewards, communications, management expectations, executive alignment, etc… While many of these are things are done today, this more holistic perspective allows you design these interventions in a way that is much more directed and effective.